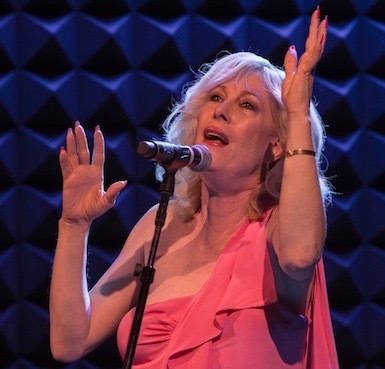 Justin Vivian Bond at Joe’s Pub. So what songs will feature this year? “The first line in the first song is ‘Tonight, there are no saviors,’ ” Bond said in an interview two weeks ago. Beyond that, the artist was reticent to share too much in the way of detail, so as not to spoil the surprise for followers in New York who have made a holiday tradition of getting soused and witnessing Bond muse over the holidays with a rich mix of playful wickedness and earnest investment. “I started drawing her in high school,” Bond said of Graham, whose modeling look helped defined ’70s and ’80s glam. An illustration by Bond’s teenage hand features in the installation, and then, for the performance component in the window, the artist puts down stakes for pre-scheduled periods and strikes poses inspired by Graham in an environment outfitted like a photographer’s set with hand-drawn wallpaper and a red velvet rope. “ ‘Two minutes is a long time’—those are the only words I’ve ever heard her utter,” Bond said of an interview that Graham once gave on camera. 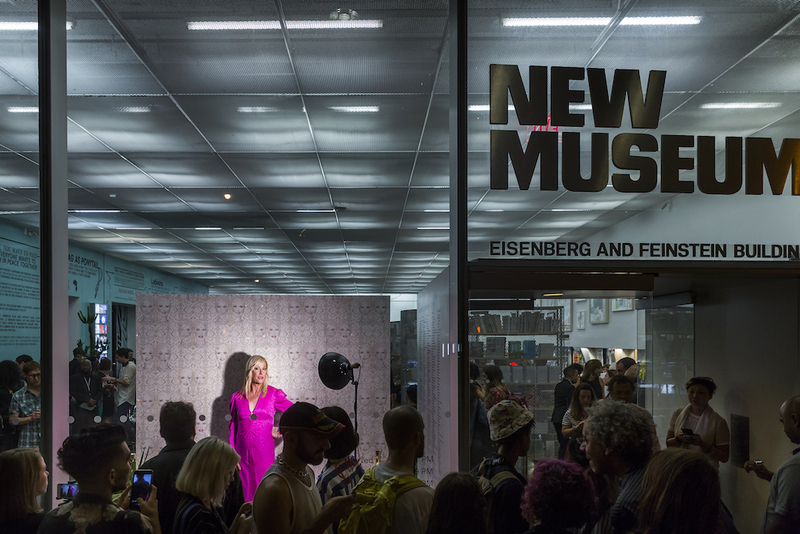 Justin Vivian Bond, My Model | My Self: I’ll Stand by You, 2017, at New Museum, New York.